The huge explosion occurred in a police barracks on Thursday in Colombia's capital city Bogota, stated a report. Colombia: At least nine people were killed and 10 others injured in a presumed car bomb attack near Bogota police school in Colombia, stated Mayor Enrique Penalosa. The huge explosion occurred in a police barrack on Thursday in the capital city, a report said. The explosion which was allegedly caused by a car bomb led to several deaths and injuries, police said. Soon after the explosion, ambulances and helicopters rushed to the spot outside General Santander police academy. According to a report, witnesses heard a loud explosion which destroyed the windows of the adjacent buildings on Thursday. Pictures of a damaged vehicle and debris caused by the blast circulated on social media. Among the dead were a Panamanian and an Ecuadorian national. Meanwhile, on the same day, an explosion took place at the University of Lyon in London. 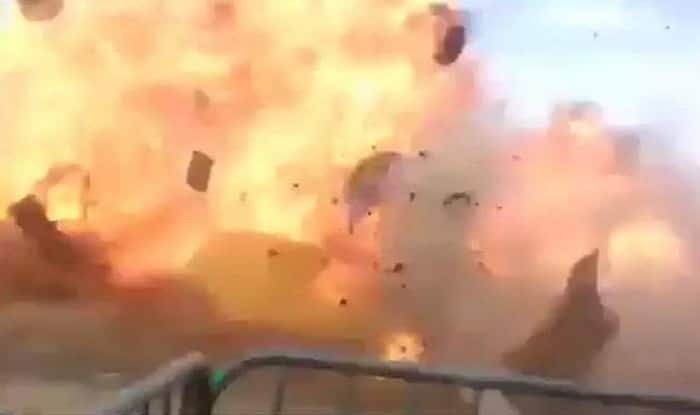 The blast occurred in the science building which was undergoing repairs, injuring at least three people, the French officials reportedly said. Soon after the incident took place, the regional fire service was informed and the area was evacuated. Soon afterwards the blaze was brought under control.